This review reflects our experience in October of 2013. 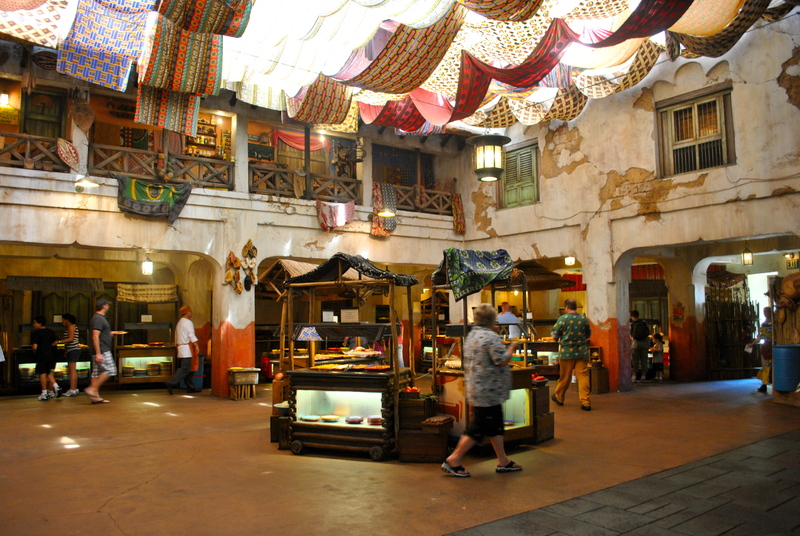 Tusker House is a buffet style restaurant in the Animal Kingdom located in Harambe Village. You immerse yourself into a restaurant in Africa filled with photos, art and music. Breakfast, lunch and dinner are served here. Both breakfast and lunch services are filled with safari dressed characters. When you book your reservation here make sure you select special requests and select your “allergies.” Once you check in for your reservation the host will ask you about the allergies, request to talk to a chef. After you have been seated a chef will come to your table and walk you through the buffet and point out every vegan item. Trust us, there are a lot! After your private tour with the chef, it’s time to chow down. Everything we have eaten from Tusker House has been delicious. 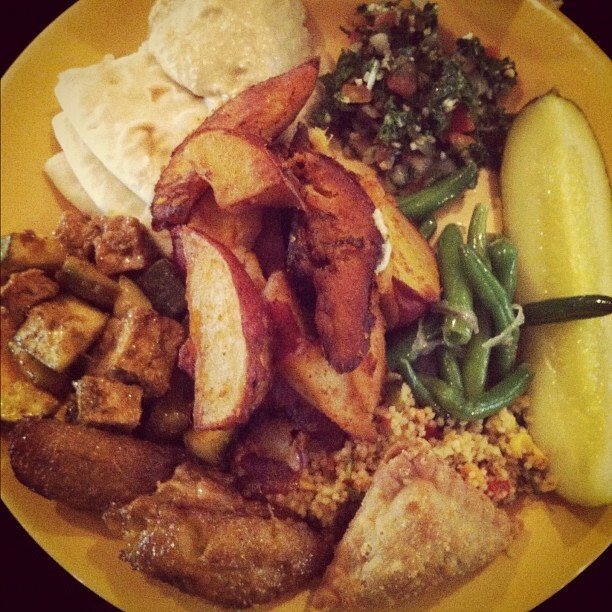 Their menu is full of couscous, samosas, tofu, tabbouleh, hummus and so much more. This place will definitely fill you up without the guilt. 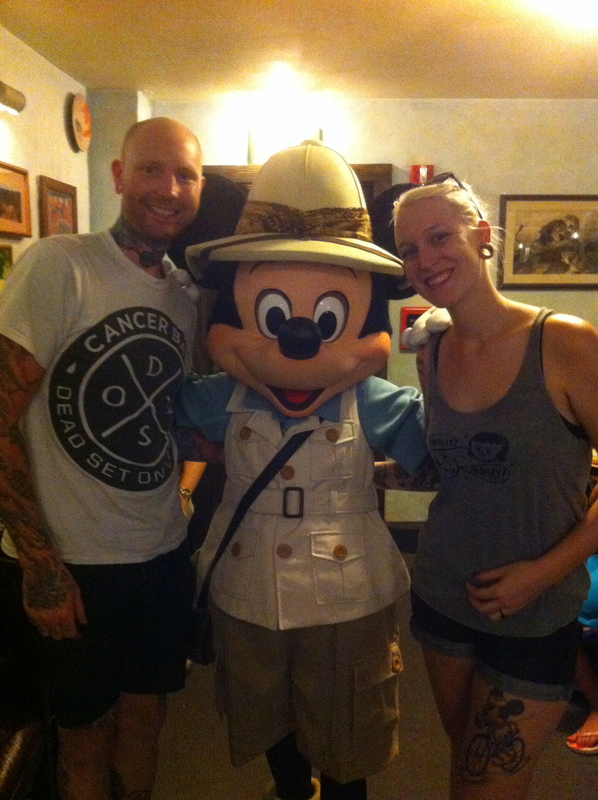 Plate number one for Melissa at Tusker House. Corey’s first plate at Tusker House. As you can see, there is a variety of food for vegans to enjoy. 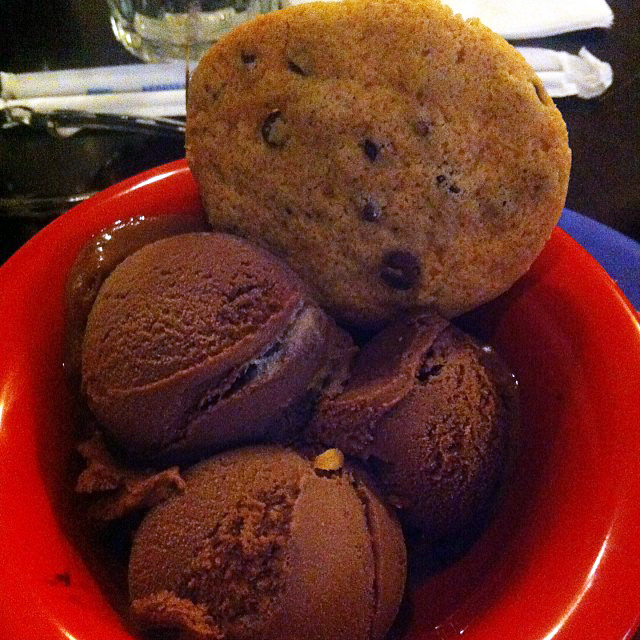 When we were done stuffing our faces at the buffet our chef reappeared with ice cream and cookies. Rice Dream and Divvies for dessert. Tusker House is a restaurant that we highly recommend to people to try. 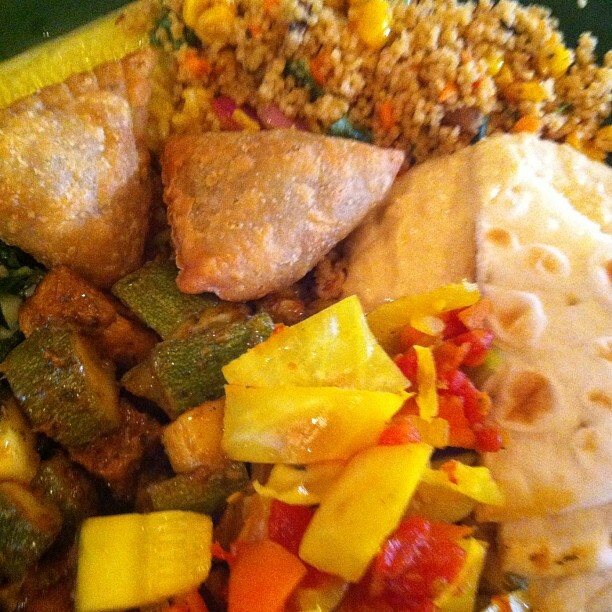 It is worth it as a vegan to have so many options in a buffet, the atmosphere is an added bonus too! Make sure you get there for lunch to enjoy your meal with Safari Goofy.